ISIS has taken responsibility for the knife and car attack on the campus of Ohio State University on Monday, the ISIS affiliated Amaq news agency reported. 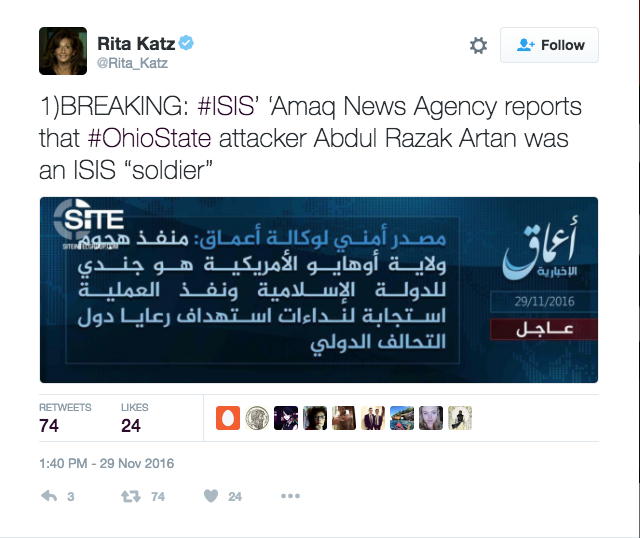 The news agency released a statement on Tuesday saying that the Somali-born Ohio State student who took his car and rammed into a group of students before getting out of the vehicle and stabbing people with a butcher knife, was a “soldier” of ISIS. Eleven people were injured as a result of the attack, and the Somali-born student attacker was identified as 18-year-old Abdul Razak Ali Artan. Artan was shot and killed by campus police officer Alan Horujko within minutes of Artan beginning his attack. Artan was a Somali refugee and permanent legal resident of the United Sates who moved to the U.S. in 2014 after spending 7 years in Pakistan. “America! 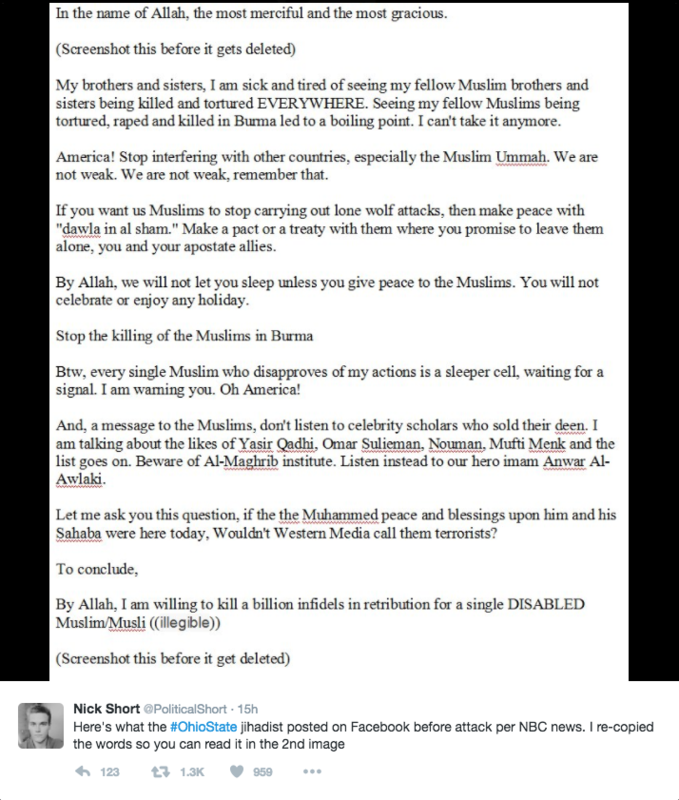 Stop interfering with other countries, especially the Muslim Ummah,” Artan wrote in the Facebook post, using the Arabic word for “community.” “If you want us Muslims to stop carrying lone wolf attacks, then make peace with ‘dawla in al sham,’” another term ISIS, Artan wrote, the source told the Associated Press.